Media, be it print-based, television or on a social media platform, continues to shape the world by dictating public opinion. From words one reads or hears to the images one may be exposed to, the media landscape is never-ending in its pursuit of an audience. Which is why it’s so important to have proper representation in media. Aside from portraying our world through a realistic lens, credible and accurate representation in media also allows those belonging in minority and marginalized groups, such as Native Americans, to feel validated for who they are. By being depicted in a positive light and empowered to tell their own stories, Natives can distance themselves from stereotypes and other prejudices, allowing them to gain confidence in themselves, their culture, and the future. Putting these concepts to practice, the Urban Native Education Alliance (UNEA), a non-profit organization based in Seattle, and the Clear Sky Native Youth Council collaborated to create an all-new workshop series dedicated to increasing knowledge and improving critical thinking for high schoolers intent on a career in journalism. Dubbed the Aspiring Journalist Series, the five session process took place over the first three weekends in August. “We see the value in providing the opportunity for youth to explore the vast field of journalism and learn the many facets and mediums available to utilize as platforms for having visibility, voice and influence,” explained UNEA elected Chairwoman, Sarah Sense-Wilson (Oglala Sioux). Student consciousness was indeed raised during the series, as nine Native high schoolers were introduced to the journalism field and the tribal role in mass media by a collection of individuals dedicated to telling the stories most important to them and their communities. Series participants toured the University of Washington’s Communications Building, visited The Daily newspaper, and got first-hand knowledge from those who do the job every day. Quality Native and non-Native professionals in the field of journalism served as guest instructors who educated, inspired, and motivated the eager to learn youth. Over the five sessions, students improved their critical thinking, writing, and reading comprehension, while learning to discern fact from opinion. All those skills are vitally important for youth to achieve academic excellence in their pursuit of a steadfast career. 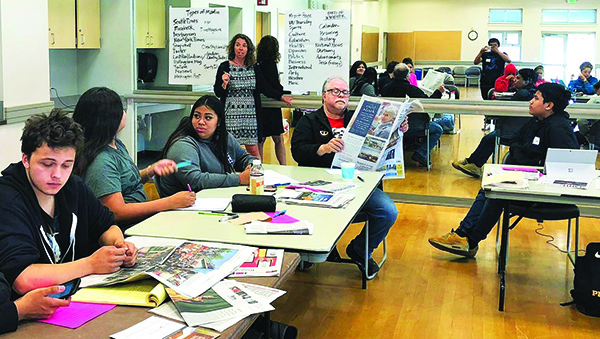 Students also learned about newspaper layout, interviewing techniques, research methods, and the roles and responsibilities of publishers, reporters and photojournalists. 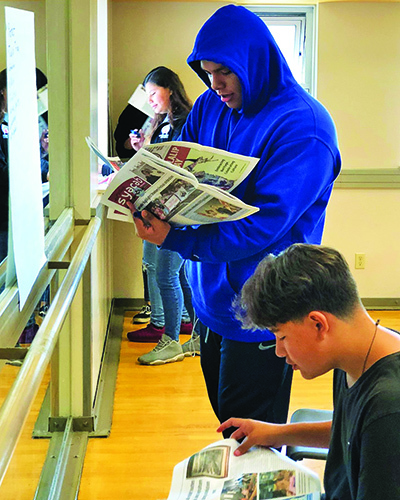 The enthusiasm for journalism and an interest for exploring the Native voice in media was a common theme from each student, especially when the Native journalism professionals took front and center. These professionals provided a Native perspective and critical cultural framework for developing tools and techniques to the vast and diverse field of journalism. Many questions were asked by the students and much truth was shared by the instructors. Investing in high school students takes time, commitment, and dedication. The Aspiring Journalist Series encouraged Native high school students to work together to tell the stories that are most important to them and their communities. By using current Native media professionals to interact with and inspire the high schoolers, this workshop series not only broadened horizons, it demonstrated that given the opportunity Native young people can and will perform successfully in the media landscape. This entry was posted in Education, News, Top Story, Tulalip News and tagged Aspiring Journalist Series, Clear Sky Native Youth Council, journalism, Native Youth, Urban Native Education Alliance by Kim Kalliber. Bookmark the permalink.